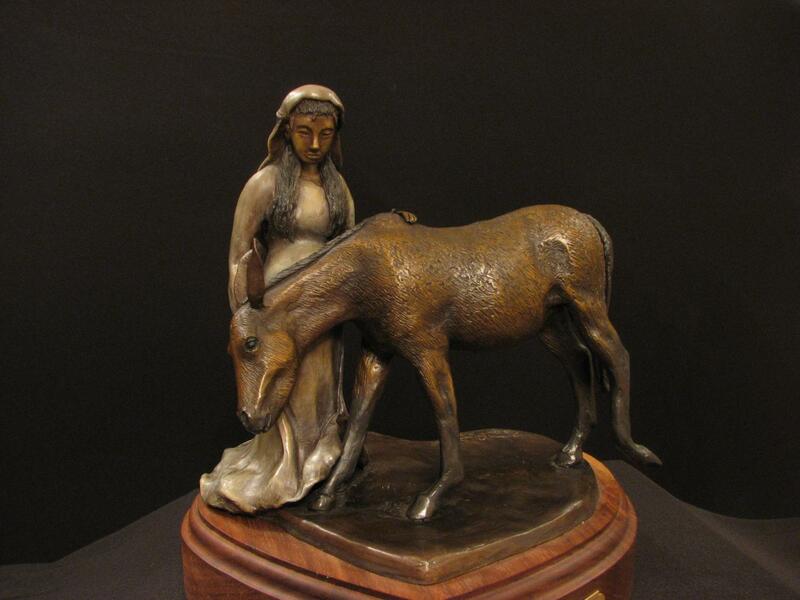 Suzanne Grassell is a bronze sculpture artist residing in Wenatchee, Washington. She strives to capture the relationship that women share with horses, and the lessons these beautiful animals are here to teach us: patience, compassion, firmness, leadership, courage, humility, and understanding. 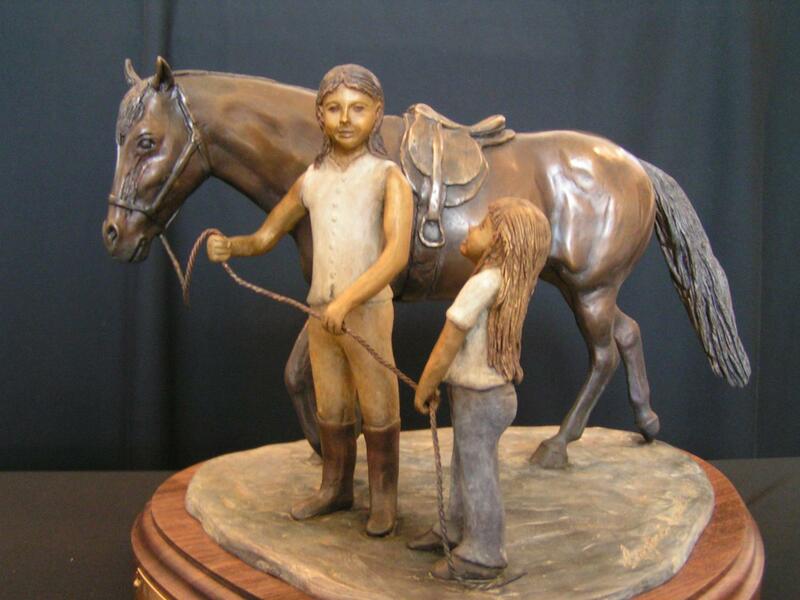 Much of her childhood was spent drawing horses, but Suzanne began sculpting in bronze in 2006. She's always admired Western sculpture, where horses and riders capture history and preserve it for the ever-present moment. Most Western sculpture tells a story that helps viewers identify with our American past. 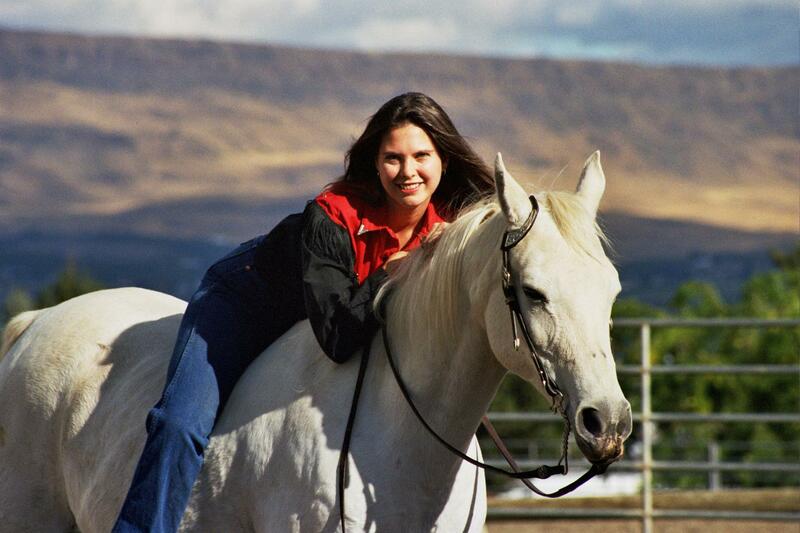 As a female artist and horse owner, I believe that Western art should add an important link - the love affair that women and girls have for their horses. Many of my sculptures illustrate this emotional relationship. Any girl who has yearned for a horse or been fortunate enough to have one in her life will identify with these pieces. 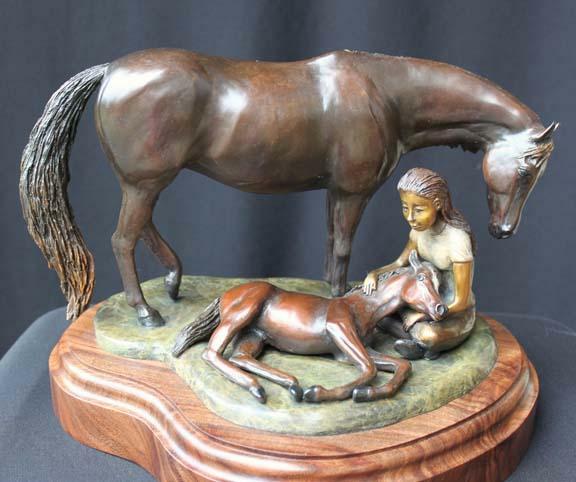 In addition to creating sculptures that evoke emotion, Suzanne strives to capture action that inspires appreciation for the movement of horses. She also enjoys Christian-themed sculpture that incorporates animals. More recently, she branched into Western wildlife art. Each piece is one of a limited edition of no more than 20 and is sold with a certificate of authenticity. Commissioned works may also be available upon contract. Contact artist@suzannegrassell.com or call (509) 264-1010.